Sweet Fiber Yarns is a one woman, luxury hand dyed yarn company located on the south coast of British Columbia. Inspired by the beautiful place we call home, we strive to supply today's knitters with incredible colourways, exquisite yarns and unique knitwear designs. As a proud Canadian company we do our best to source our yarns right here in Canada. 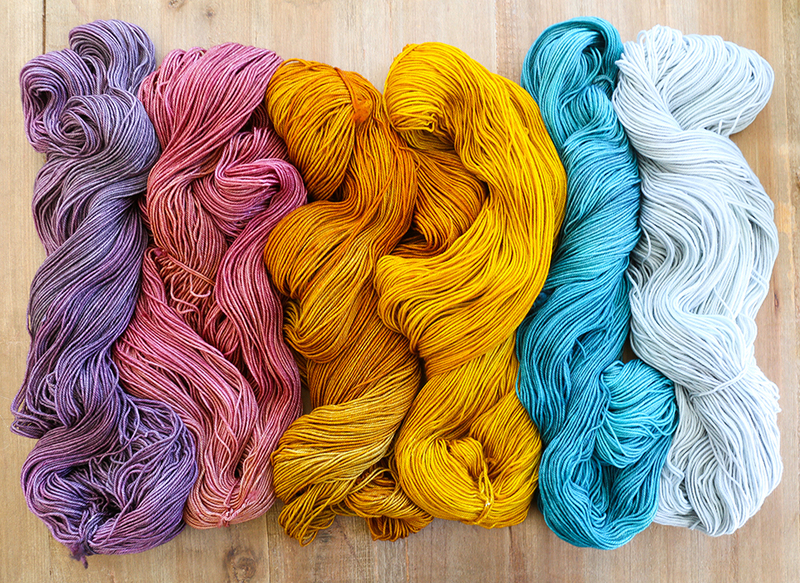 Our yarns are hand dyed in small batches to ensure both quality and handcrafted originality. Each batch is made with great care and attention to detail, and each skein has been soaked, rinsed and individually inspected before going to market. Melissa dyes, twists, tags, and ships every single skein of yarn. Melissa Thomson officially formed Sweet Fiber Yarns in 2011 while earning her BFA at the Emily Carr University of Art & Design. There she studied painting, colour theory, print making and art history. Her inspirations for new colourways often come from the colour relationships she takes note of throughout her daily life. She pays close attention to how colours look together, how they change beside each other and the conversations they create amongst one another. It is important to her that our colourways are not only a pleasure to knit, but also entirely wearable. She began knitting in 2007 when her mom opened 88 Stitches, a local yarn shop in Langley, BC. Melissa quickly developed her love of yarn, knitting and knitwear design while working part time at the shop.